As part of the Made in Suffolk series, showcasing portraits by photographer Paul Dixon, Charlotte Smith-Jarvis speaks to Stephany Hardingham, the doyenne of fruit ices. "You can take the girl out of the country but you can’t take the country out of the girl – as the saying goes. 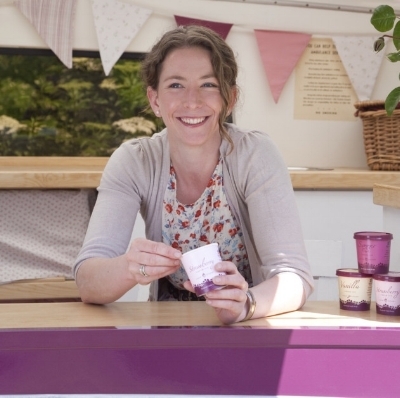 And this is exactly the case for Stephany Hardingham of Alder Tree, who was enticed back to Suffolk from London’s bright lights to produce award- winning fruit ices. The Hardingham family has run Alder Carr Farm near Needham Market since 1981 with fruit ices arriving on the scene in 1987. “Dad had a bumper crop of raspberries and couldn’t bear to see them go to waste,” says Stephany. “They were using them in everything from puddings to jam and then decided to make a really really fruity ice cream based on a recipe my grandmother used to make.” Read the full article here.